“The human right to water entitles everyone to sufficient, safe, acceptable, physically accessible and affordable water for personal and domestic uses. An adequate amount of safe water is necessary to prevent death from dehydration, reduce the risk of water-related disease and provide for consumption, cooking, personal and domestic hygienic requirements”. One of the most basic needs for survival of human beings is water, however in the 21st Century Millions of people still do not have access to clean water as a result this leads to dehydration or spread of water borne diseases and in some cases even death. As a result the United Nations made it a priority that by the year 2015, the number of people without access to sustainable water in the world should be halved. In the Coastal strip in Kenya lies a village called Chengoni, the people who stay in this area are farmers and are owners of livestock. The people residing in this area have had great difficulty in obtaining water and sometimes have had to walk for miles to obtain water. 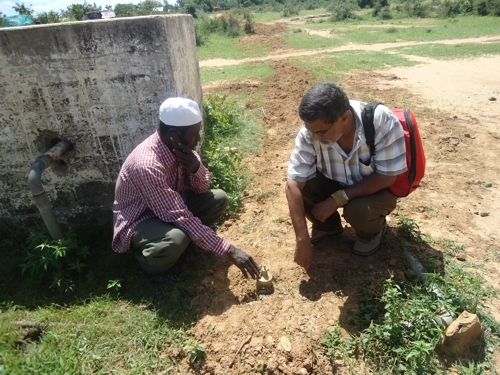 The center has also faced drought, this made life unbearable for the people residing in Chengoni village. Several attempts have been made to ensure people residing in that area have supply to safe drinking water but all have failed. The people were beginning losing hope and thought that they would be destined to travel long distances to fetch water. Their last option was an 8 KM pipe from the Main Water Supply. 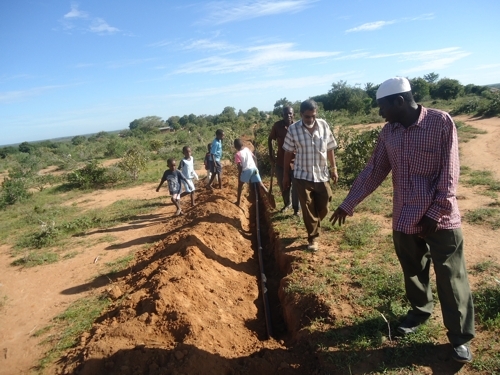 Bilal Muslim Mission of Kenya intervened to ensure that the villagers are assisted with this project. Once the project commenced the villagers toiled hard to dig trenches through which the water would pass, due to the anxiety the youths of the village joined in to make the process faster. 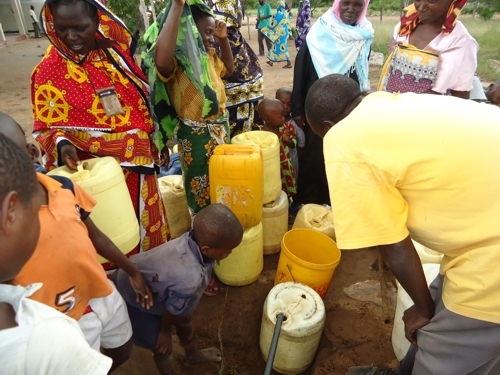 On Friday the 10th of June 2011, before Juma Prayers water finally reached the center, cries of joy could be heard from a distance, the villagers were excited to see that water had finally come to their village. Bilal Muslim Mission of Kenya would like to thank the Muhsin and Fauzia Foundation and SIPS for Life for sponsoring this project.